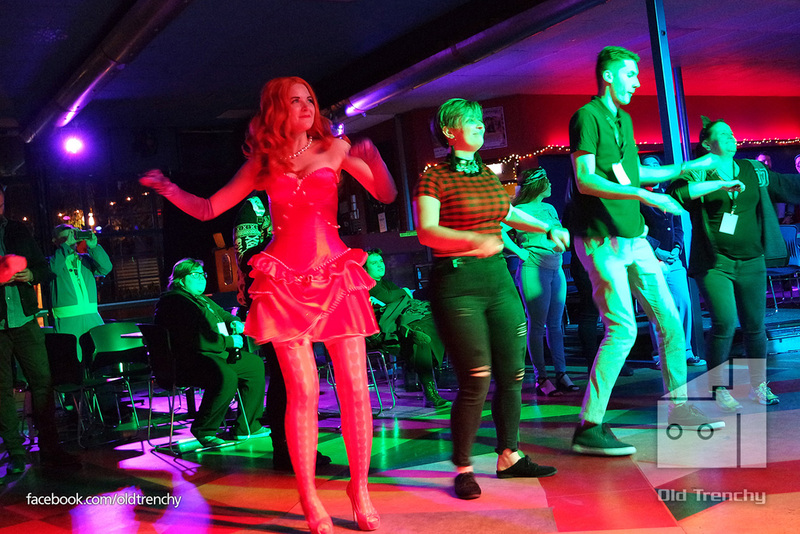 The inaugural Press-Play Adelaide was a lot of fun. I had a great evening of geekiness, catching up with friends, and seeing the few cosplays that were on show. It was a genuinely enjoyably night and it was good to see so many Adelaide fans enjoying what the event had to offer. If you’re surprised by that, don’t be (and I’ll explain why very soon). If you’re surprised to hear that from me then you probably haven’t been paying close enough attention. I have always maintained a sense of hope that events such as this are not only enjoyable but successful, reiterating again that I never want to see any of them fail and that they’re success can only be good for the Adelaide fan community. With Press-Play, I had pitched my expectations right down the middle with “cautious optimism”, which may seem like a cop-out to some but honestly I knew that this was going to be an adequately fun event (to which those expectations were exceeded by a few degrees) but mainly because ReedPop have legit experience in organising such with some of the After Dark events previously. My “cautiousness” was more in regards to observing certain potential external influences, which I am glad to say played zero part in any of the overall success. For those you who came here to read some trash talk then I can’t really help you when it comes to the event itself. That’s partially the reason it’s taken me longer than usual to get around to this write-up. I have very few major issues with how the event was run and want to be able to express that honestly without it being confused as hyperbole in either direction. My regular cynicism is primarily directed at the periphery, how we got here, what led up to this, and why Press-Play exists. Of course I have many nitpicks and a few criticisms, this is me after all, but I’m also aware that many of them are already being addressed for next year’s event, which is a testament to how aware the organisers are. Press-Play was never going to be an “epic” night especially on a Thursday in Adelaide. 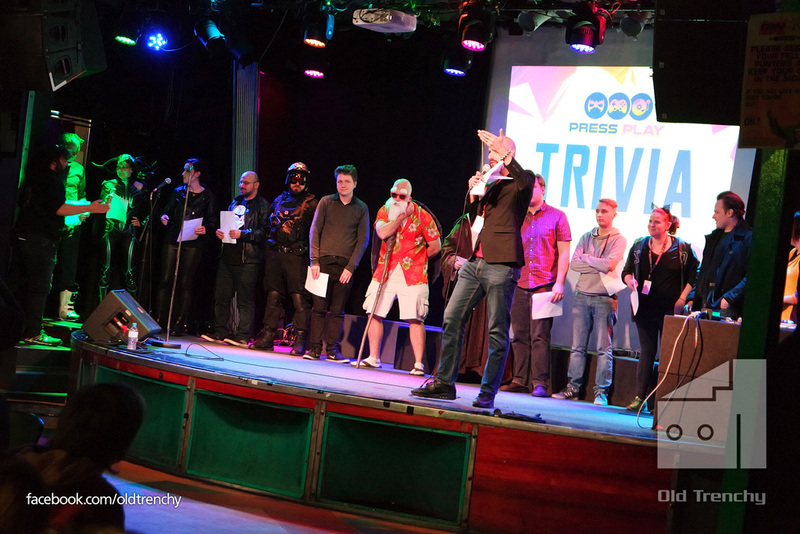 Despite the common usage in the Aussie vocabulary, tacking “legend” on to the end of “trivia” always smacked of trying too hard. And outside of talking about an actual video game, using the phrase “level up” will always make my eyes roll so hard they can power a small electric scooter. C’mon, Uncle Steve, we’ve already talked about this. While $18 is indeed 25% less than $25, the booking fee for ordering via the OzTix website is $4.45. So in total buying your ticket online costs $22.45, which is only a saving $2.55. Pedantic as it seems that’s not a 25% saving. For me this is important because what may look like a common practice is actually rather misleading. Most other advertising that use this sort of wording and declaration usually include some sort of disclaimer or extra information via an asterisk. The majority of people don’t follow through and find out about the extra charges until they have to make the actual order and payment and seeing a $4.45 booking fee like that can be a bit of a shock. You may think this is a minor error but I don’t want this to be the norm. I don’t want to keep seeing PR push the boundary into outright fibs (like staring into a Channel 9 news camera inflating the attendance numbers by many thousands for a certain anime and video game con) nor do I think it’s a good look especially after pulling the plug on the very community you are trying to appease. And yes, that’s actually the worst of it so that give you a rough idea how well everything else went. I’m a little torn about this one because The Gov is a fantastic venue and an iconic Adelaide music institution (last time I was there was many, many years ago for Battle of the Bands) and its size and facilities worked great for what Press-Play needed. But I think the cost of doing business there may be a bit of a hurdle especially if that cost was translated into the $25 at the door ticket price (showing my age but $10 for a bourbon and coke is a tad steep). I’m not sure if the choice in venue resulted in the 18+ restriction or if it was the other way around but as I said previously, that does cut out a large segment of the fan community who already mourn OzCC even if the cosplay contest is only for those 18 and over. 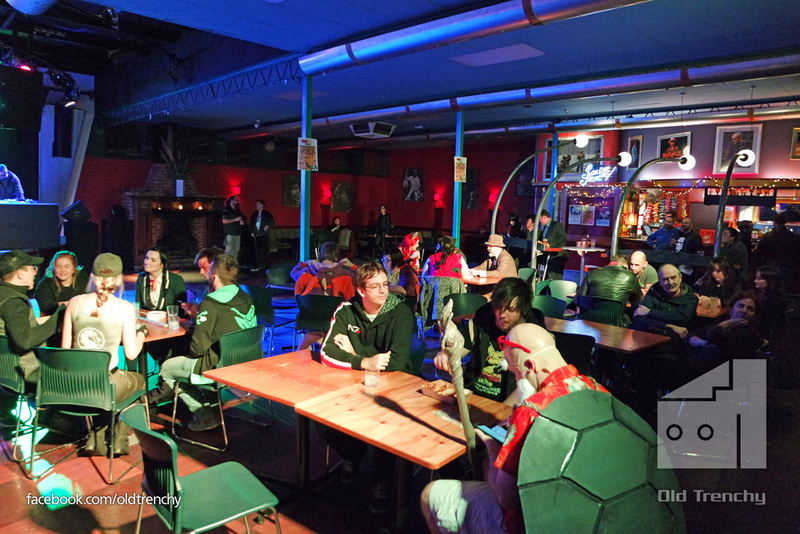 Also, small licensed venues aren’t always conducive to large elaborate costumes (I learned that a long time ago). In my own case that just means I need more compact costumes that I don’t mind having booze spilt on but that’s mainly on me. I could nitpick about the parking but really overall it does work for the basic needs of such an event. The size sort of enhanced the attendance, which was pretty good for a Thursday night. In fact many people expressed surprise at that but when you’ve attended enough Neko Nations, AVCon Balls, launch parties, and retro games nights you know full well that Adelaide fans will make an effort. Although, it must be highlighted that Thursday night was not suitable for many fans who could not make it work for various reasons including work and family. Even some of those attending complained how difficult it was to enjoy after an already long day at their job. Not everyone can get a babysitter, not everyone has enough energy to party that late. And it’s odd that a Thursday was chosen for Adelaide when Perth got a Saturday as well as an after party. To try and get these events done and dusted within a few days of one another feels like more of a convenience than anything else. Yeah, I might be biased but I’m also very familiar with their work. 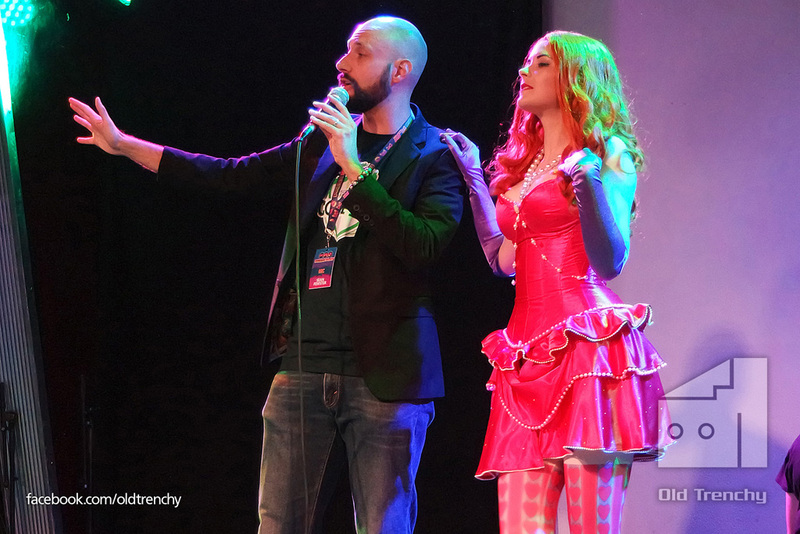 I had absolutely zero doubts about the husband and wife duo JusZ Cosplay and Sean Fewster being more than capable of MCing the festivities. In the few years I’ve known them, I’ve known JusZ to be a natural performer and has been excellent in her duties as host for Oz Comic-Con’s Australian Championships of Cosplay, always energetic and always prepared, and having seen Sean commentate for Riot City Wrestling, always good on his feet, I knew that both could probably sleepwalk their way through this and still put on a good show. And they hit it for six. They knew how to read the room and lift and maintain the energy it needed as well as not overdo it or make it about themselves (something a lot of other convention hosts can learn from). The evening was full of things to do and some worked out better than others. Quiz nights or trivia nights, whatever you may call them, can sometimes be hit or miss with me and often rely on either the team you’ve put together or the quality of questions being asked. It did honestly looked as though people had fun with this one and the prize of a special screening with ten of your mates at Palace Nova Cinema was pretty cool. The cringiest thing I’ve read in quite a while. It’s basically speed dating without the goal of romance and I think plays on the idea of “nerds” and “geeks” being too awkward to interact and mingle. I didn’t participate, I don’t know anyone that did. And quite honestly having seen the debauchery that happens at something like a Neko Nation, the only thing you really need for people to interact is a touch of grog. If you think watching other people play video games is boring then you probably don’t like video games. As a spectacle it works rather well but works even better when you have a host like Sean Fewster adding the colour and energy to focus the crowd. 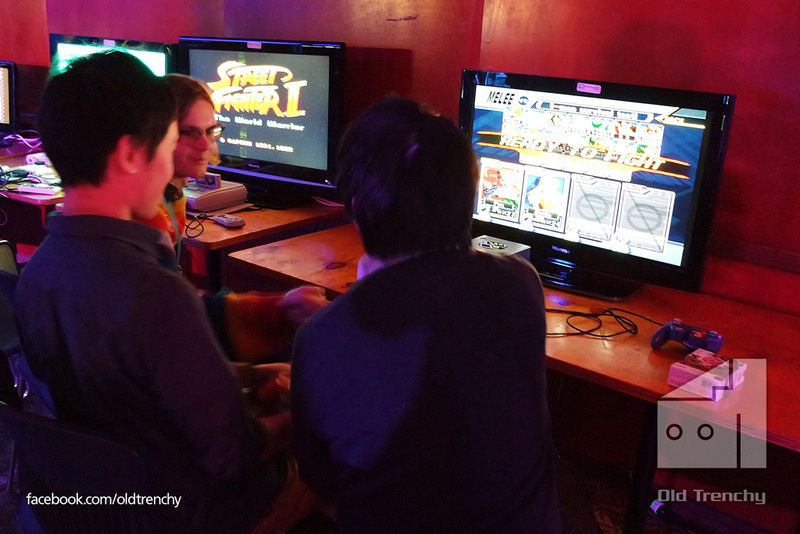 It was good to see RetroSpekt invited along to provide some great retro games for the punters to enjoy. Not only is a local group being utilised and promoted but it also adds some variety to the night. And if tabletop games are more your thing then Brainhackr were also there providing those games. 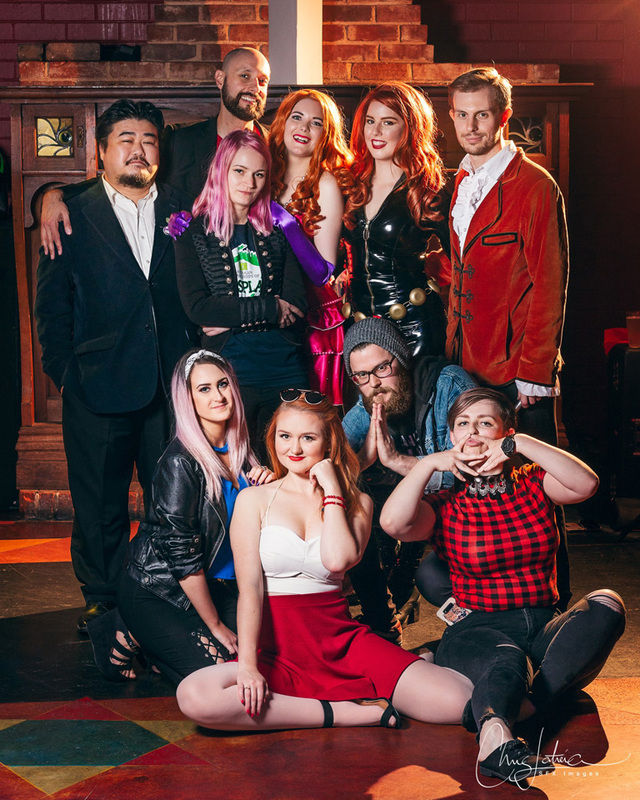 It was great to see both SFX Images and Steamkittens provide what is ostensibly a photobooth for Press-Play and between them they took some fantastic photos for the fans to enjoy. To have both is also a good idea because one would get overrun and again allows for a bit of variety. And just like at a con these days it allows those who don’t normally get asked for photos to finally get something that looks slick and professional. By the way I took a few more event-style photos of the night, which you can check out here. The big reason for the existence of Press-Play was to host the Adelaide (and Perth) legs of the national contest now that Oz Comic-Con had pulled out from these cities. As a cosplayer/maker and appreciator of other makers it was enjoyable to watch. Still, I’m a touch disappointed at there only being three entrants. 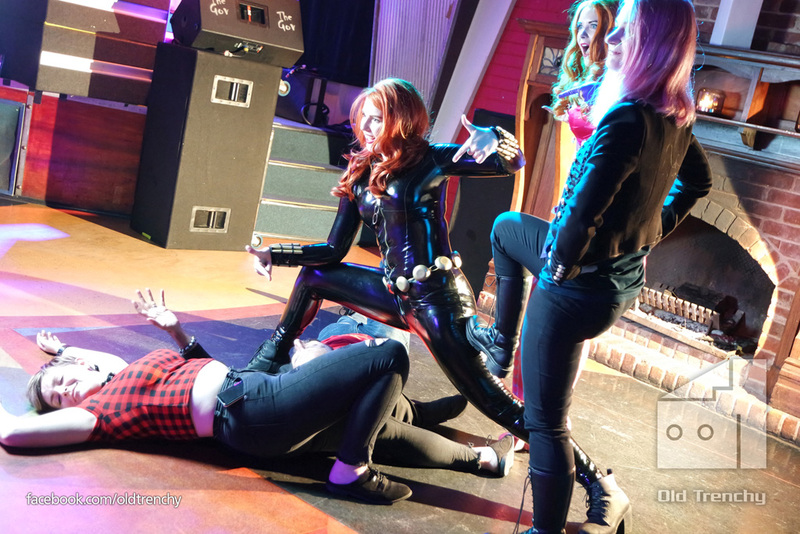 I know one pulled out because of illness (whether they were sick on the night or simply too ill to finish their cosplay is unknown) and a second entrant apparently didn’t rock up (and allegedly no reason given). Apart from the very first time the Australian Championships were held (when contestants weren’t aware of how immense it was all meant to be) there have usually only been a few entries in the Adelaide heat. 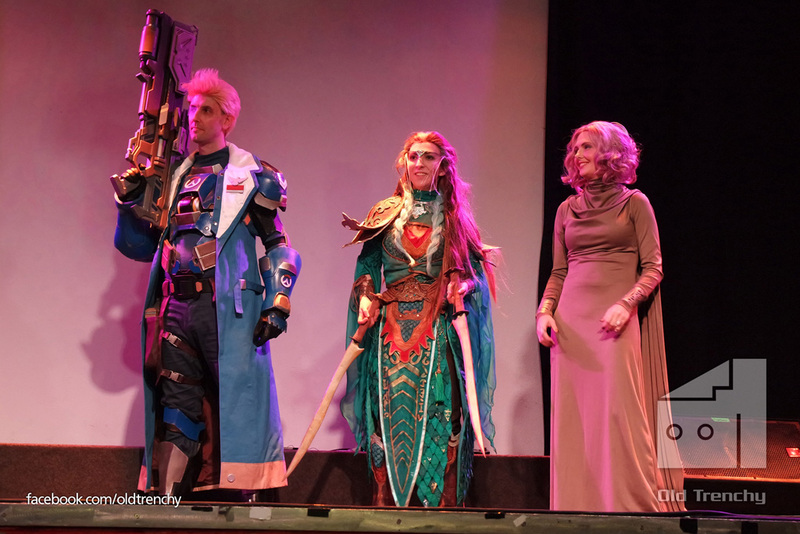 Despite this, the three that were up on stage had put in some fantastic effort and created magnificent cosplays, with The Dingo Ate My Cosplay taking out the big prize and will now be representing South Australia in the finals (although it’s also odd and maybe a little unfortunate that we didn’t see the usual craftsmanship awards presented). I’ve said most of what I wanted to say already on the subject of Oz Comic-Con leaving Adelaide and Perth but it still stings a little. I mean, having it announced in such a tone-deaf manner at the end of last year was bad enough but then finding out a couple of months later that ReedPop were expanding their plans in Asia as well as Africa for the first time and then acquiring Gamer Network just pours salt in the wound. Keep in mind that OzCC’s announcement never explicitly said that money (or lack thereof) was the reason of pulling out of Adelaide and Perth. That reasoning actually came from their many defenders, all of whom still benefit from the privilege of having the event remain in their backyard or those who want to maintain good business interests. So there is a naivety in thinking that should Press-Play become successful enough or grow large enough that eventually the powers-that-be will want to bring OzCC back over here. But I don’t think that’s realistic. Think about it: Press-Play continues to succeed and grow, if it was never about the money that just means Press-Play is all they need to do to around here. If it fails then that proves we’re not worth the hassle. My strike rate is usually pretty good with these things but honestly I want to be proven wrong (hell I sometimes make loud obnoxious declarations just so people will get their arse into gear just to prove me wrong) but I’m fairly confident about this. 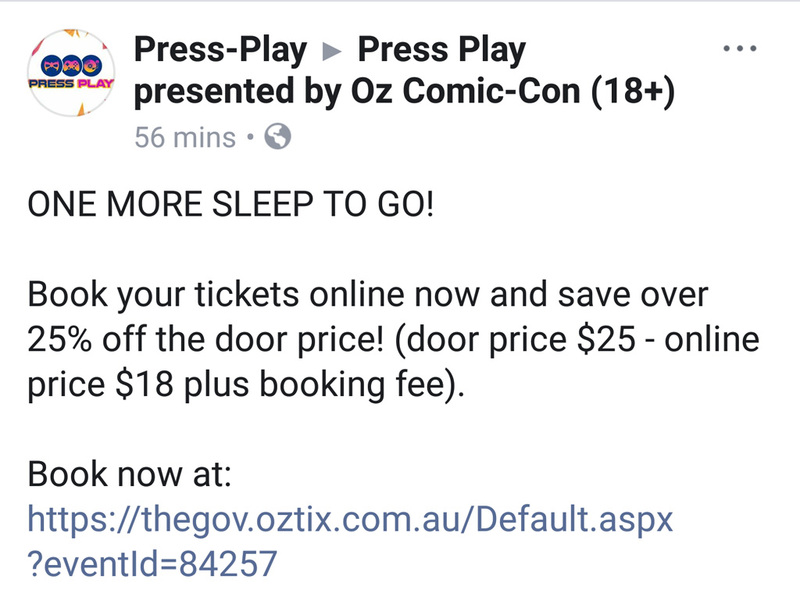 Press-Play isn’t a substitute for OzCC. It’s the appetiser to a much larger meal we’re not getting. Someone’s ordered the chicken nuggets for us from the kid’s menu when we really want to thick cut steak. The one big thing that most of these events have in common is that they offer an opportunity for friends to catch up and hang out in a fun environment. When looking back and recounting how it all went, most people tend to confuse that feeling with the overall event (put it this way: you don’t judge a film by the person you went to see it with). Sure you had fun with your friends, maybe even drunken fun but you could probably do that anywhere. So when I do these write-ups I often have to extract that (as well as alcohol, I don’t drink like I used to) from the equation and focus on the bits and pieces of the event itself. 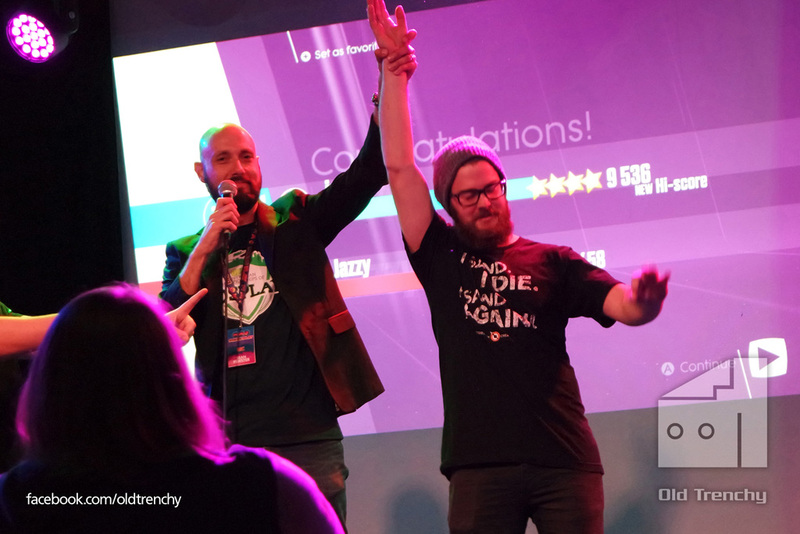 Press-Play was not only well-run and managed but it was fun, energetic, and good night out. I had a great time and it looked like so many people did too. But of course, if it were on a Saturday night it would be an even better evening (Friday you would still find people struggling after work). So yes, this is a gold-star recommendation from one of the more cynical people you will hear about this. I look forward to what they have planned next year and am confident they can address some of the more niggling issues before then.